﻿ Findlay Market - Ohio. Find It Here. 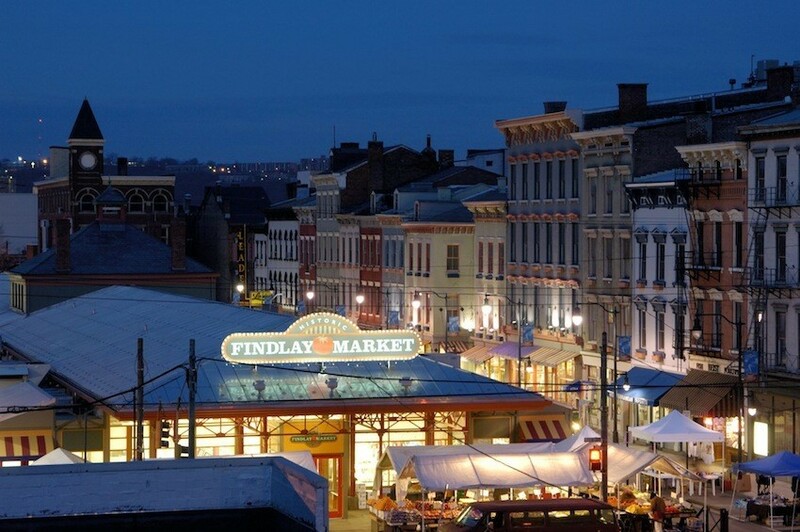 Findlay Market is Ohio's oldest continuously operated public market and one of Cincinnati's most cherished institutions, welcoming more than a million visitors a year. Located just blocks from downtown in Over-the-Rhine, a dense historic neighborhood rich in 19th century architecture, Findlay Market remains the bustling center of farm fresh, locally sourced, artisanal and specialty foods. Open Tuesday through Sunday year round, Findlay Market is home to more than 40 indoor merchants selling meat, fish, poultry, produce, flowers, cheese, deli, and ethnic foods. On weekends from April through November the Market also hosts a thriving farmers market, dozens of outdoor vendors, numerous street performers, and lots of special events.